This condo has luxurious rental suites with glorious finishes, to meet everyone's taste. All units are fully equipped with 4 pc stainless steel appliances, washer/dryer, floor to ceiling windows with noise reduction technology, 9 to 10 food ceilings, upgraded 4-inch trims, hardwood flooring, and en-suite laundry. 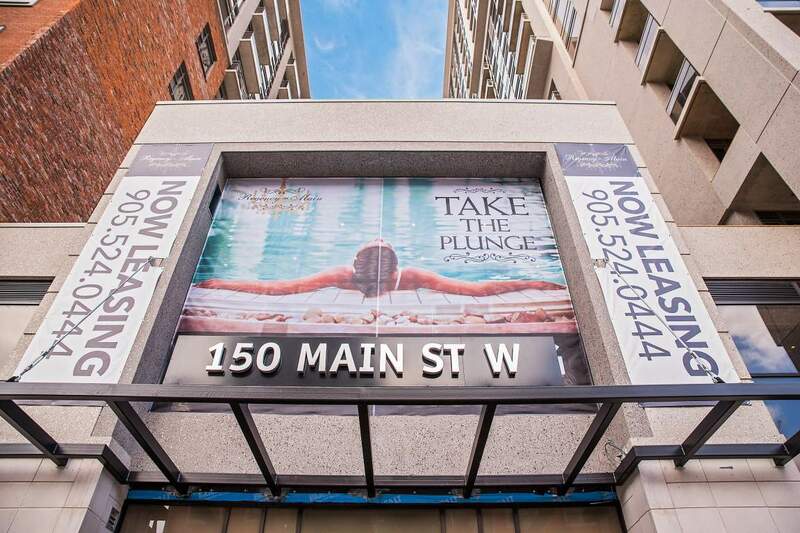 This building has 1st class condo amenities, such as, pool, games room, party room, lounge, movie theater, gym, yoga room, rooftop patio, WIFI common area, and a bike room. It has easy access to transit, and close to the major highway. This building is very useful for students as it is only a 4 KM away from McMaster University's main campus and 3.7KM from Mohawk College. Short-term leases are currently being accepted. 150 Main was made comfortable and luxurious for its residents, with its well-designed and spacious suites in a variety of layouts. Choose one of the building's beautiful suites today! We ensure that DMS Property Management Ltd. Will take care of your needs.